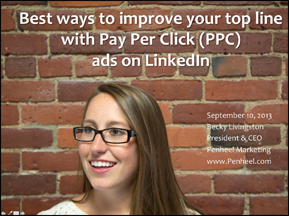 Are you curious about LinkedIn’s pay-per-click (PPC) online ads? Do you wonder whether they’d be an effective component of your practice’s or company’s growth strategy? 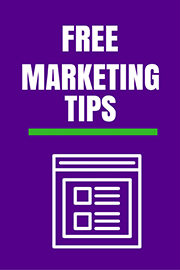 Complete the following form to get your copy of the “Best ways to improve your top line with LinkedIn Pay-Per-Click (PPC) ads” slides so you can get started on your PPC campaign today. What questions do you have about using LinkedIn pay-per-click ads?